About Our Insurance Agency | Reisinger Insurance Agency Inc.
About Reisinger Insurance Agency Inc. Founded by Ralph and Barbara Reisinger, Ralph E. Reisinger Insurance began March 19, 1955. The business started in a tiny room of their home. 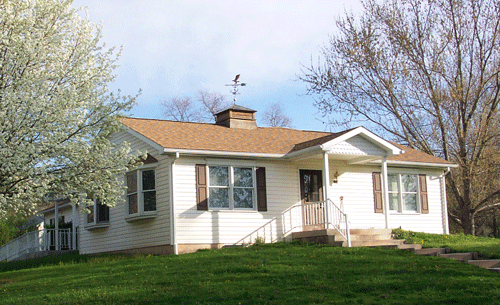 In 1960, Ralph and Barbara built an addition to their home to accommodate the growing company. In 1979, Barb and Ralph converted an adjacent one-family rental into an office building. It was the first time the founders had the business outside their home. Ralph and Barbara worked full time until December 2001. 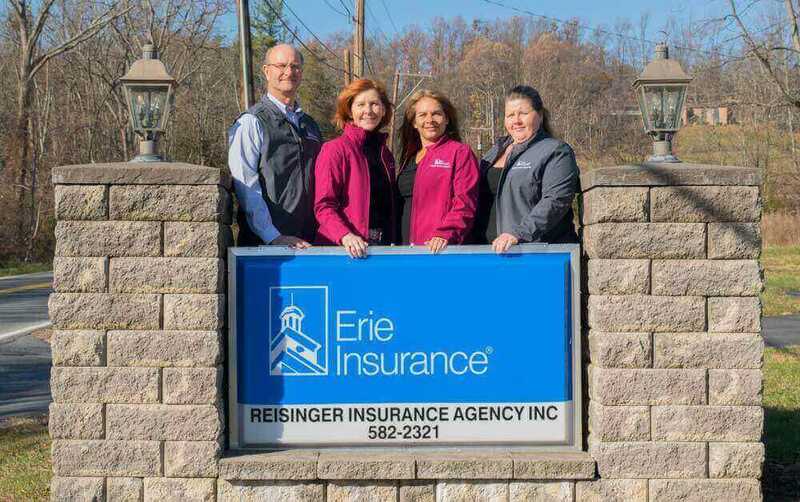 Now known as Reisinger Insurance Agency, Inc., the business is still a family-owned operation that continues to cultivate a caring and customer-conscious environment. Our proven professionalism carries throughout the entire office. With our four agents, we develop long-lasting and personable relationships with each client. We commit ourselves to maintaining high standards of excellence, whether you are looking for a home insurance agent or auto insurance agency. Reisinger Insurance Agency, Inc. is with you each step of the way because we know searching for the right plan can be overwhelming. We give you the freedom to talk with us one-on-one so that we know your specific requirements and expectations. From there, we will help you examine the risks, and we'll devise a plan to protect you, your car, your home and other belongings from any form of financial disaster. Our agents provide a sense of mutual trust and service along with flexibility. We follow through to see you receive exceptional, fair and swift services and payments. Reisinger Insurance Agency, Inc. also represents different insurance companies, which allows us to determine the ideal coverage suited to your needs and budget. The variety we offer opens opportunities for you to discover a range of solutions. We are your business partner with a more personal touch! I, son of Ralph & Barb, graduated from West Perry High School in 1977. My career in life insurance began in 1977. I obtained my life and property license and sold my first life policy before I graduated from high school. After graduation I worked for the family business for only three months, then felt the need to venture out on my own to a local factory. I had great success, but decided it was time to come back and re-enter the family business. Obtaining my casualty license, taking LUTC courses, and as many insurance courses as I could, I obtained my broker's license in 1984. In 2002, I purchased the business from Ralph & Barb. We are staffed with four talented employees. We all have our property casualty license, and two with life license. The employees have gained years of experience, and are very capable. Please contact us today to speak with one of our friendly staff. Working with people like you for 62 years, Reisinger Insurance Agency, Inc. has your best in mind. We ensure your peace of mind and deliver the attention only a small insurance company can provide. Nothing is worse than feeling uneasy about your home, auto or life insurance policy, which is why we're here to make it a simple process with positive results. As your auto insurance agent and much more, we are ready when you are! We cover residents in Perry, Cumberland and Dauphin County as well as other surrounding areas. We offer the best rates, coverage and service. You can trust we provide a personal level of connection because we care about you and the precise insurance policy you need. Do not hesitate to reach out to one of our experts online by filling out a contact form. You can also request a free quote to learn more information. 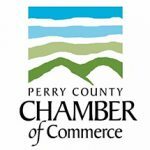 Reisinger Insurance Agency, Inc. is a proud member of the Perry County Chamber of Commerce. Finding affordable insurance has never been easier thanks to Reisinger Insurance. Whether its homeowners, farmowners, commercial, or auto insurance, we are here to help.